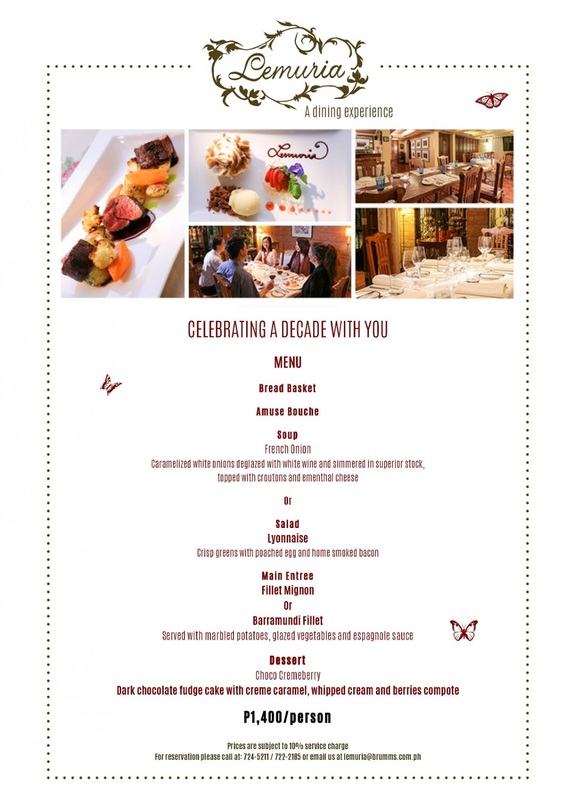 Lemuria Gourmet Restaurant is celebrating a decade of great food! Check out Lemuria's Anniversary Promo which runs until August 31, 2016. Experience fine gourmet dining featuring French-Mediterranean cuisine at 30% off! 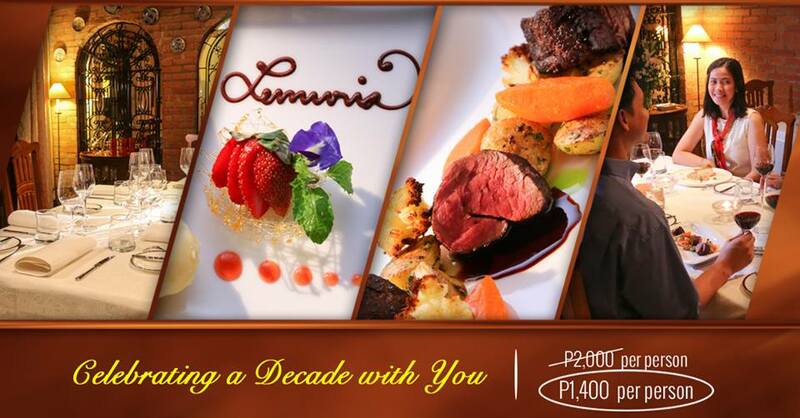 Visit lemuria.com.ph to make an online inquiry and/or reservations. You may also call them at +632.724-5211 / +632.722-2185 / +632.721-5352 / +63927.428-4202, or you may also send email at lemuria@brumms.com.ph. Phone reservations are accepted from 9am to 10pm.